Oh babies, can’t seem to keep anything in their mouths or keep themselves clean, can they?! 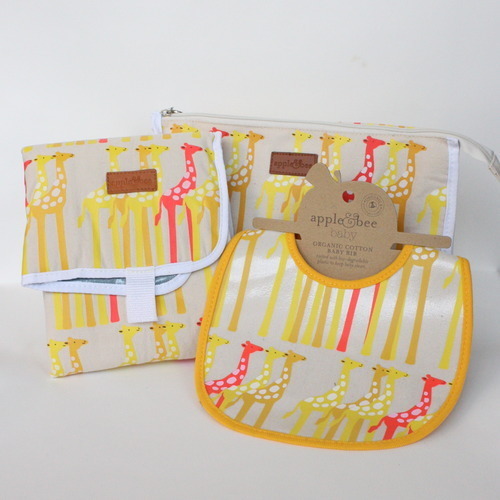 ;) We think they’ll need this lovely set of Apple and Bee treats; a bib, a changing mat and a wash bag. Available in the store in two designs!